Dallas Silver Star Crystal Award. Available in 2 sizes, 185mm and 205mm high. 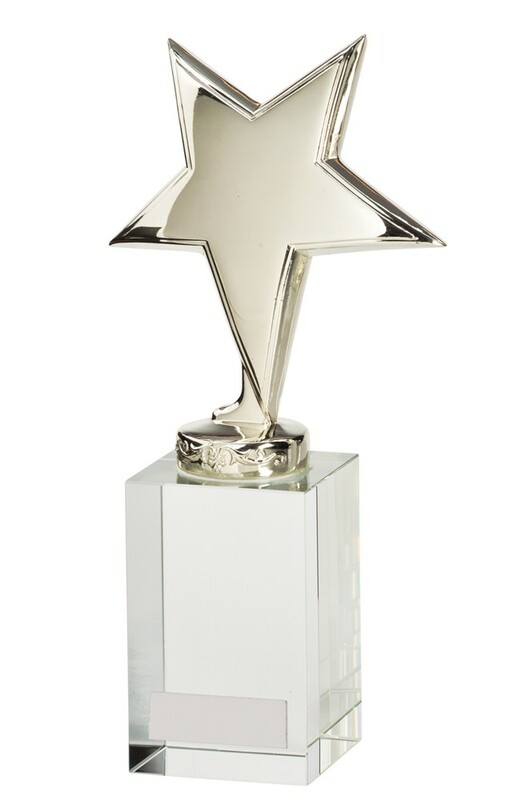 Nickel plated silver star mounted onto a solid crystal column base, complete in a presentation box.